Seven games as the Houston Rockets’ official point guard is all James Harden needs to declare himself the best floor general in the NBA. New Rockets coach Mike D’Antoni has worked with great scorers and great playmakers at his various stops around the league, but in Harden he found a guard who can do both. Harden has long dominated the ball as a facilitating shooting guard, but D’Antoni ended speculation about what he truly is by stamping him with the label of full-time point guard. Now that Harden is setting up teammates better than anyone else and currently leads the league in assists, who is the league’s best player at his position? “Best point guard or best player?” Harden responded when asked. 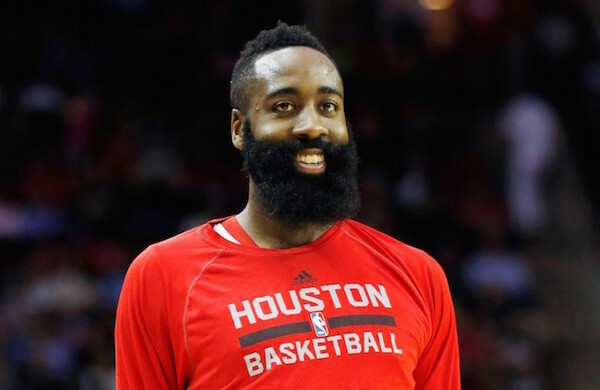 “I am,” Harden told The Vertical. Here’s a scary thought: Harden might not be wrong. While this transition into the point guard role is kind of new for Harden, he has always been the Rockets’ chief distributor. Head coach Mike D’Antoni merely made those responsibilities more official. And Harden has responded by averaged 31.6 points and 12.7 assists per game. I mean, he has more assists than the entire New York Knicks starting lineup, and the Rockets offense plummets by 31.4 points per 100 possessions whenever he takes a seat. If Harden maintains even most of his current pace as the season soldiers on, Chris Paul, Stephen Curry and Russell Westbrook will need to make room for their new point guard overlord.